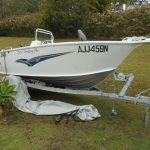 Boat Pre-purchase Inspection Gosford Central Coast NSW. 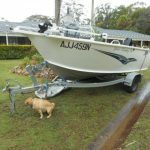 Tabs 5.1m Territory Pro, Suzuki 115hp 4 stroke, compatible trailer, PPI. 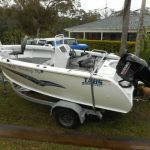 Mobile Pre-purchase Boat Inspections NSW.